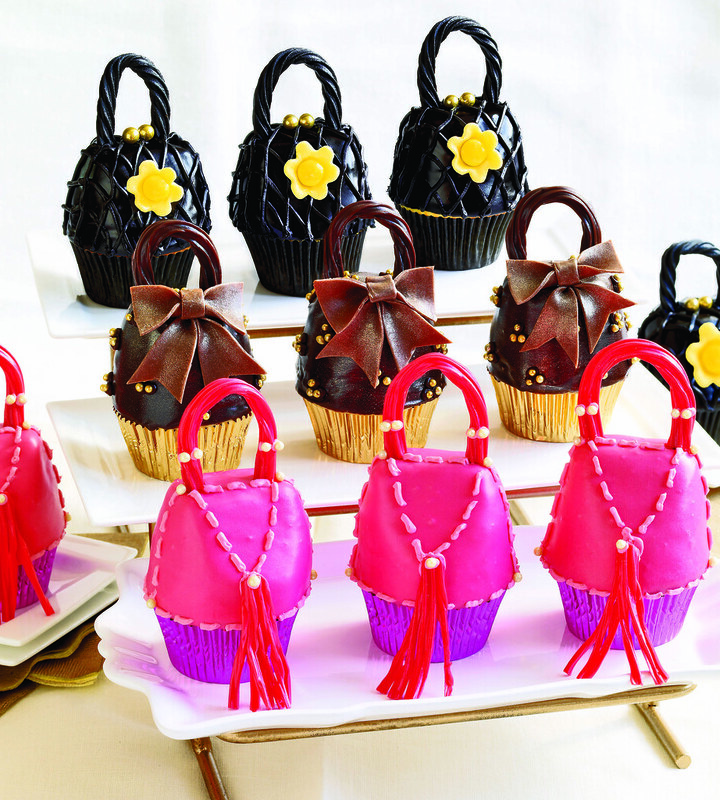 Fashionista cupcake alert: cupcake high heels and handbag cupcakes with flowers, bows and tassels from new cookbook Cupcakes, Cookies & Pie, Oh, My! 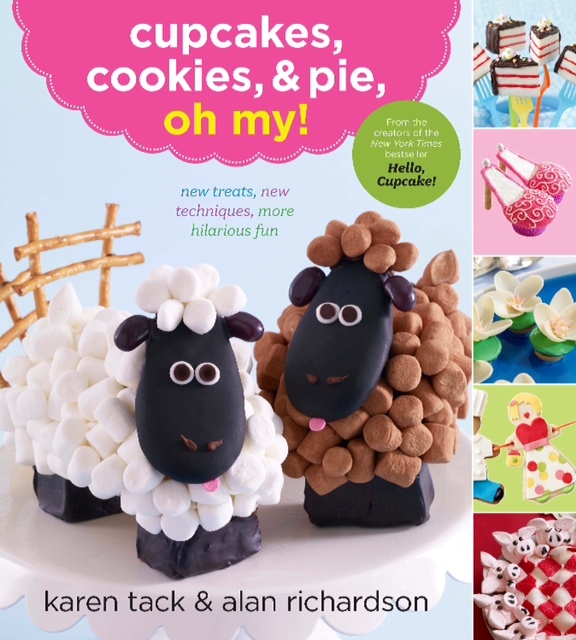 More cupcake fun, this time around for the fashion lovers, specifically high heels and purses (I'm a big fan of both), from the new cookbook Cupcakes, Cookies & Pie, Oh My! by Karen Tack and Alan Richardson, which comes out on Monday, which is also when we'll be posting a chance to win a copy. Visit them at hellocupcakebook.com and @whatsnewcupcake on Twitter. Wow! what girl wouldn't love those shoes! 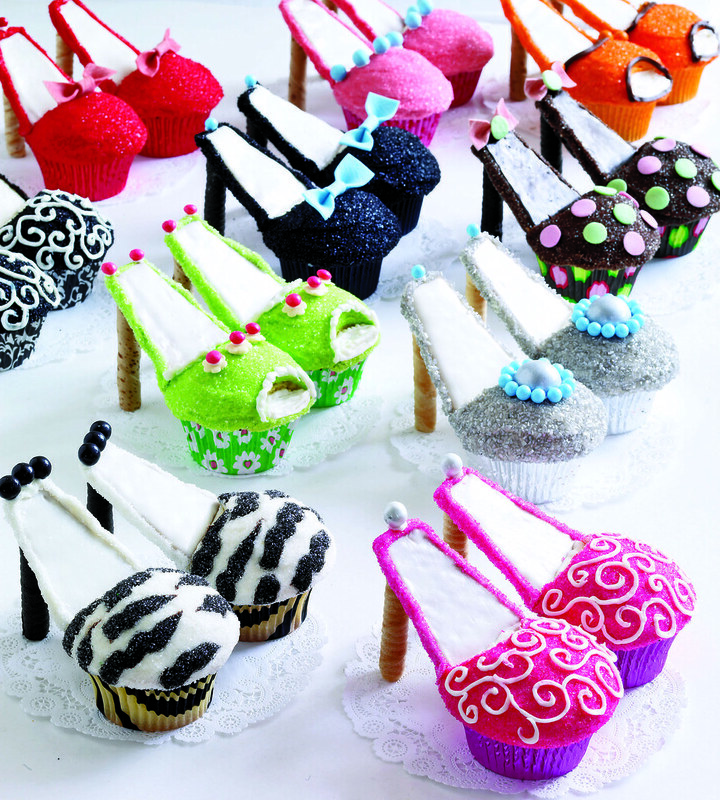 High Heel Cupcakes & Fashion Purse Cupcakes from our newest book Cupcakes, Cookies, and Pie, Oh My! See the fashion show at Cupcakes Take The Cake! These are beautiful! I need them in my life! STAT! These are so adorable, what an awesome idea! So flipping cute! Someone take them to a shoe maker and have them made into real shoes! To fun to eat! Must be worn on the feet! I Loveeeeee these, I will b purchasing the book soon so that I could make these for my Shoetatstic Birthday party in October. I love the cupcake shoes & Purses!! Im going to have to get the book!! Like wearing wedge sneakers for work, like these stylish shoes http://www.upere.com/upere-wedge-sneakers-c-1.html. Wow, amazingly adorable! Best of luck with your new book. I'm sure it will be a huge success!